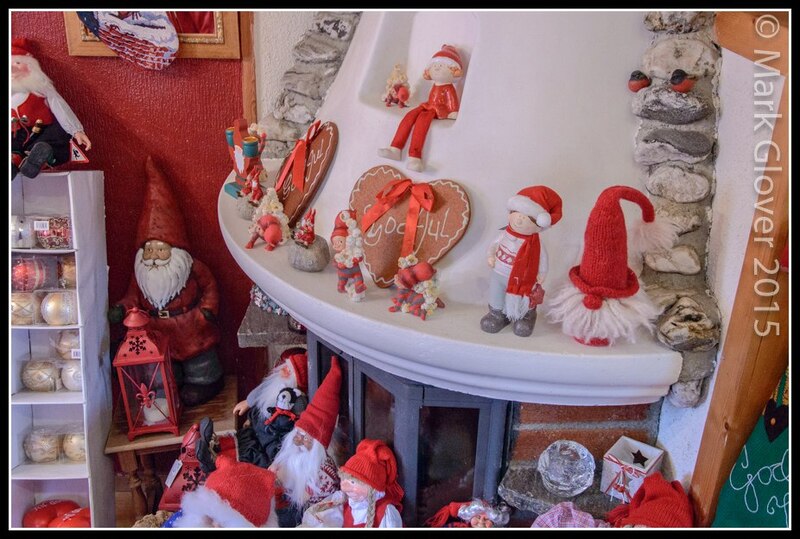 All a bit odd, being so Christmassy in June. 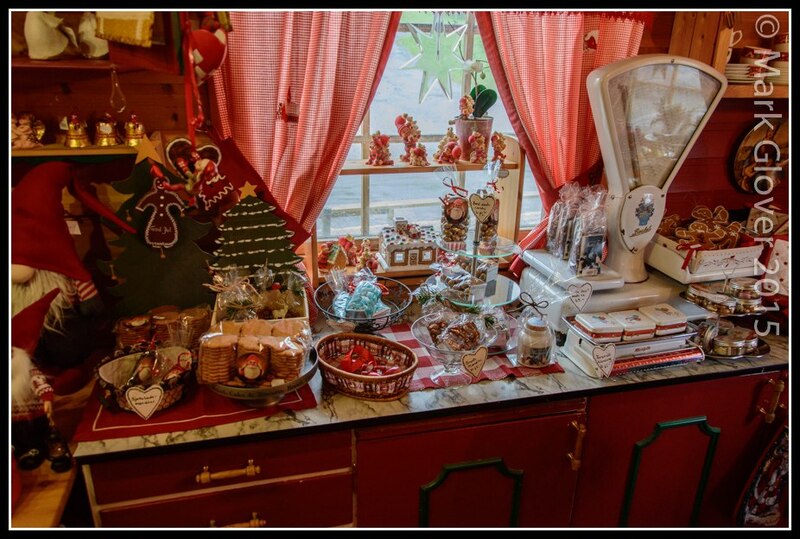 Heidi-Marie keeps the shop looking superb though. Suppose this one depends on your point of view!! 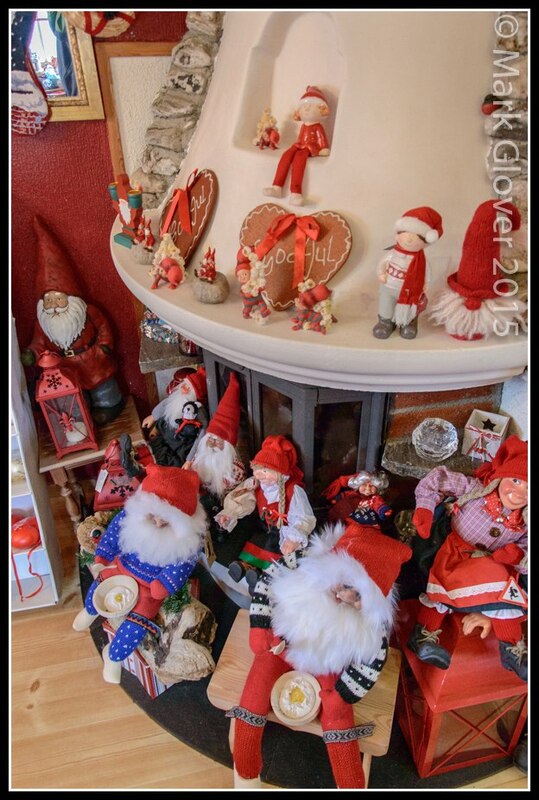 Managed to keep spending to a sensible level in there, but some more goodies to make our little corner of the UK just a little more 'Scandi' in December. 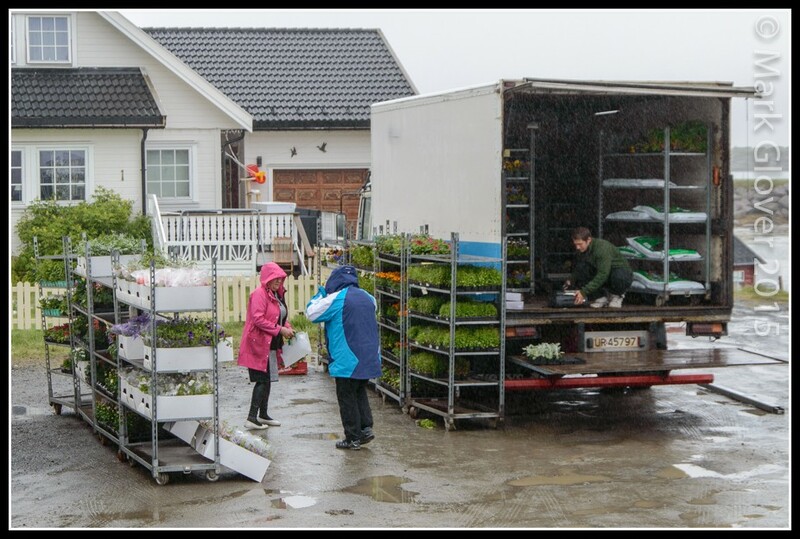 Meanwhile it was summer outside, and the locals were making full use of the travelling 'bedding plant' sale! Don't think the plants needed too much watering in. Google translate come with some fun of their own, but I guess you'll will be able to get the main points of the story. A year until we're then again Ombugge - all being well! Aiming a little further south and west this year. Gorgeous! 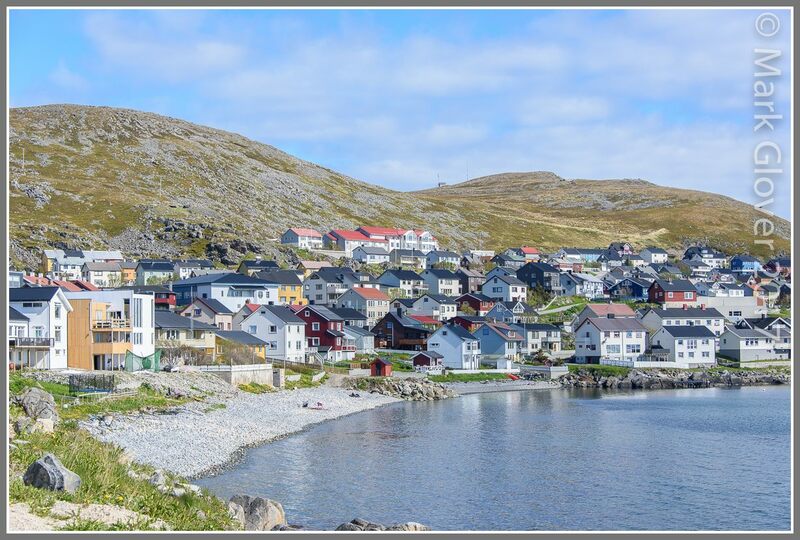 Lovely image of Honningsvåg, Polo-style. 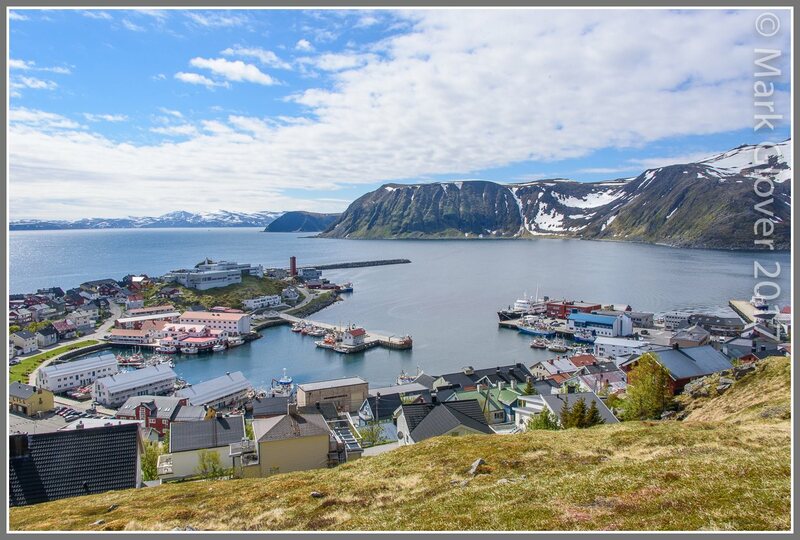 Wonderful image from summer in Honningsvåg - still with snow in the hillsides! 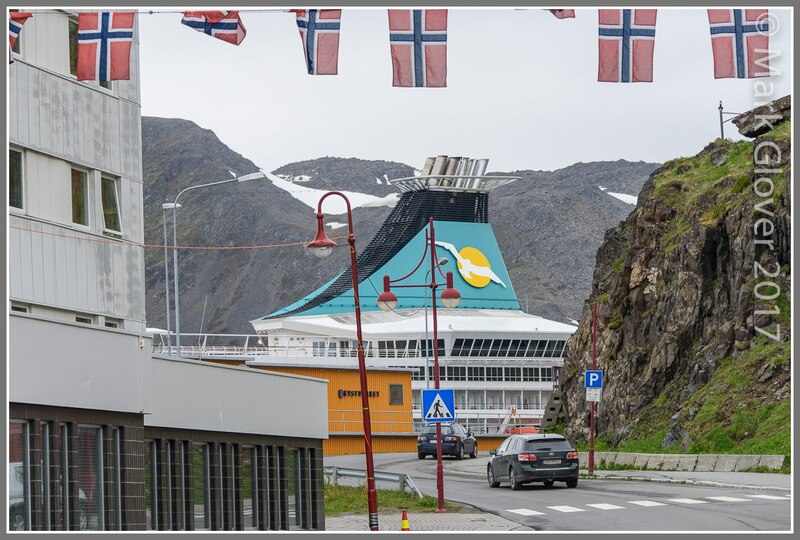 Wonderful that you got both the Lofoten and that gigantic ship in one shot.... that is a difference in size! WAOW! 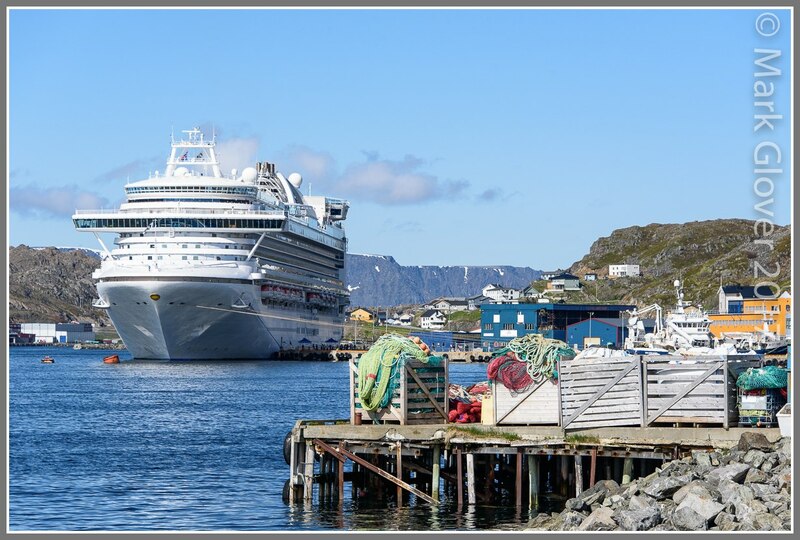 The big one is Crown Princess. Looks a lot worse from the other end!! 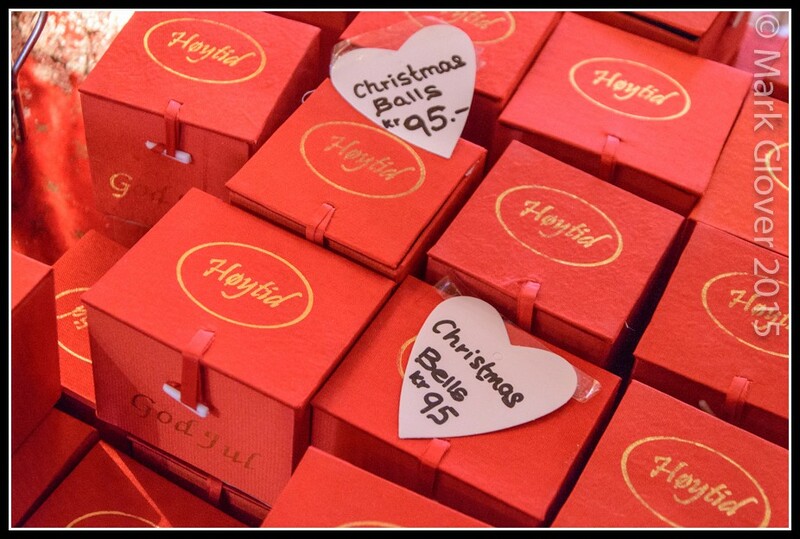 Some more to follow in the weeks to come. 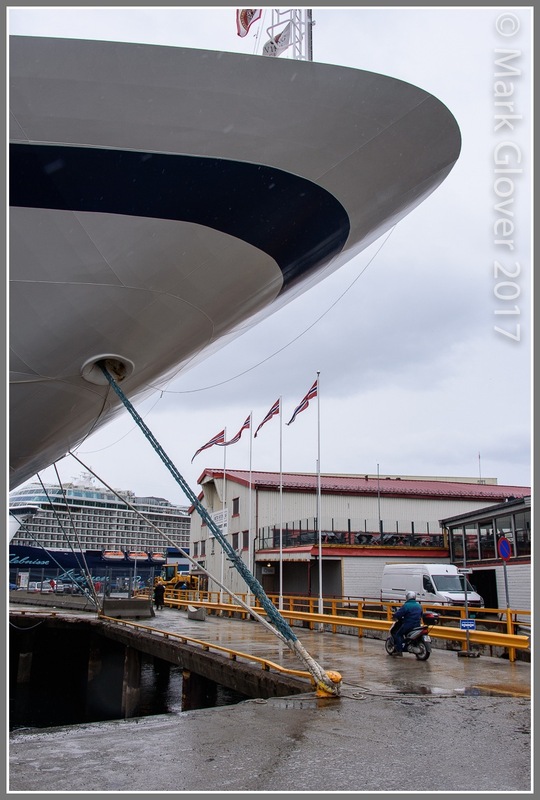 She was in Trondheim a few days ago - amassive ship indeed, I'll post some drone photos soon too. 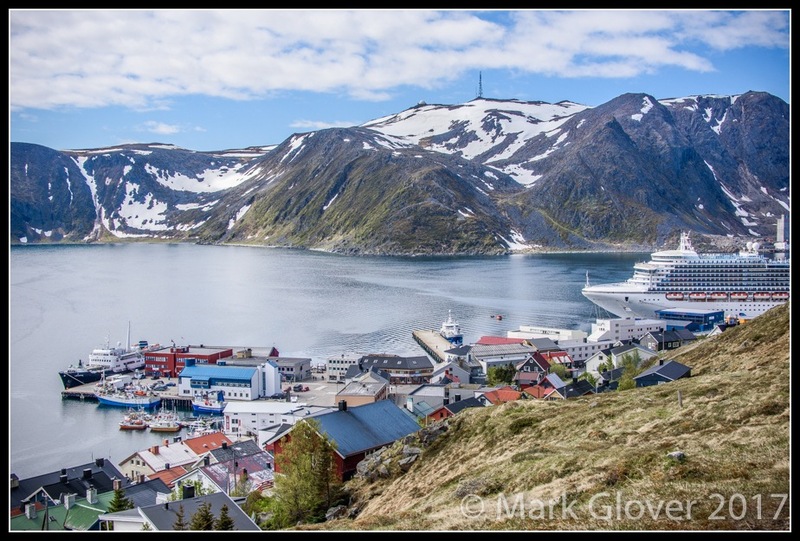 Some bits and pieces from the last week in June in Honningsvåg. No real theme or order, just a random amble around the village. 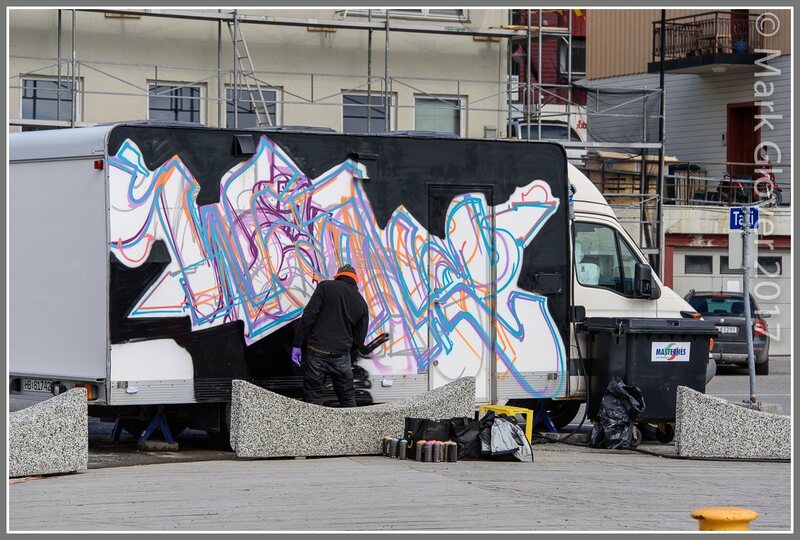 Was struck by how much graffiti had appeared, not quite the same epidemic that Vardø has seen, and it's hard to know what was officially sanctioned and what wasn't. The quality was relatively high though! 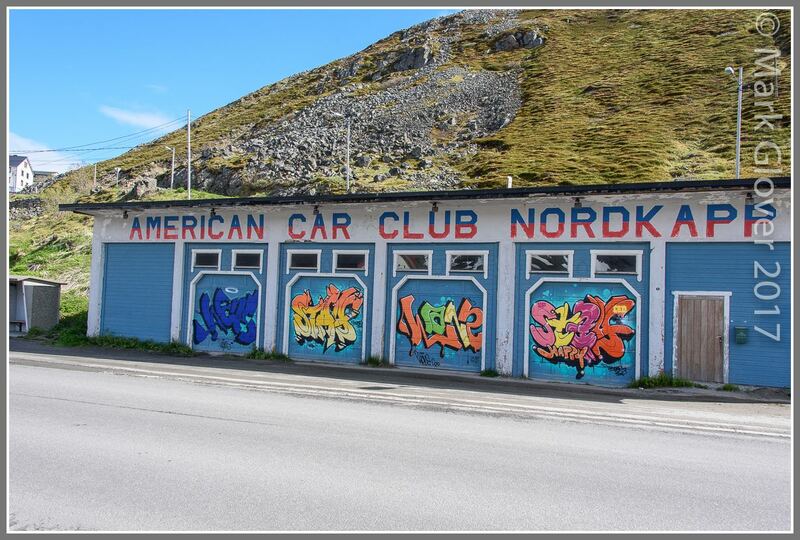 The American Car Club seemed to have been the most significant recipient of the spray cans - never seen anything go in or out of any of those doors. The masked man appeared at the Thai takeaway in the middle of the day - very organised, working to a sketch, with all the colours etc. This must have been sanctioned, or even paid for, but it seemed odd at the time. The finished product was quite impressive. 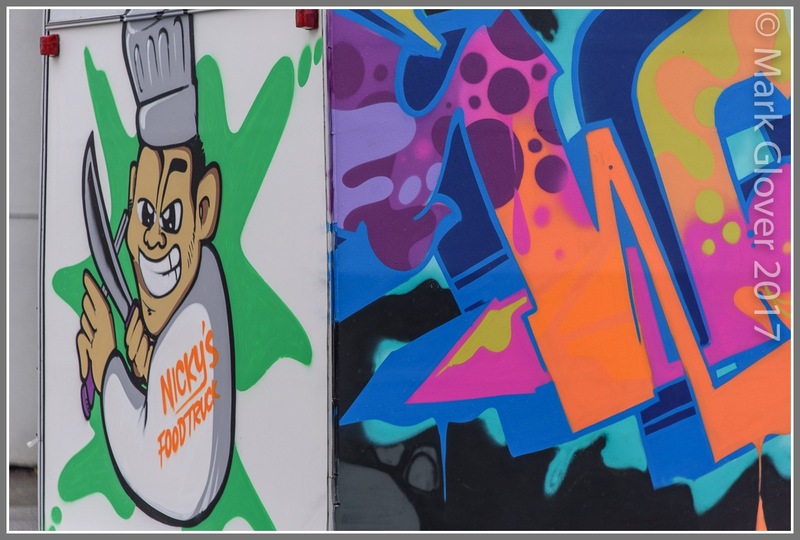 Hopefully Nicky was happy. 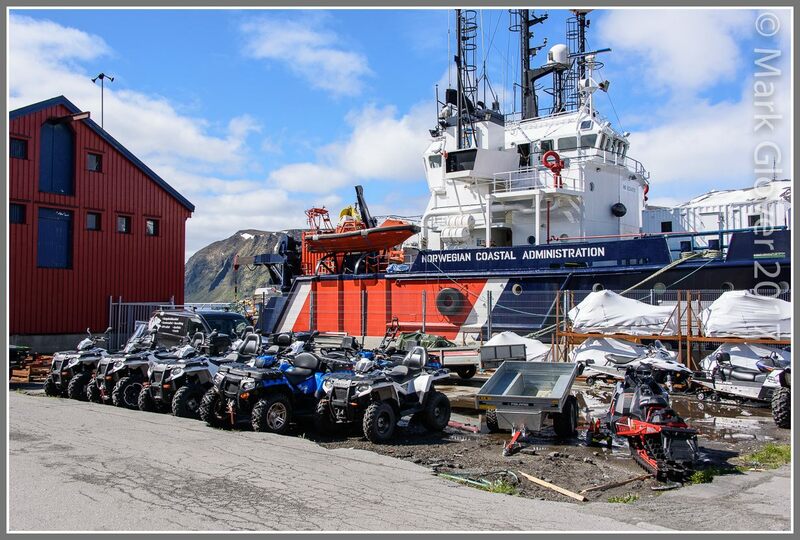 Just back from Kai 3, the toys are waiting for the punters from the cruise ships - with the NCA's standby boat - complete with toys of its own, just behind. About an hour after every cruise arrival these Quads would thunder past the house in close convoy, with a leader at the front and a follower at the back, and excited cruise passengers on each vehicle. Normally most of them came back. Sea dog Bamse is still here and looking magnificent, and always facing south west. One day I'd love to visit Leith to meet his twin, identical but pointing north east. Here he is with a troll. 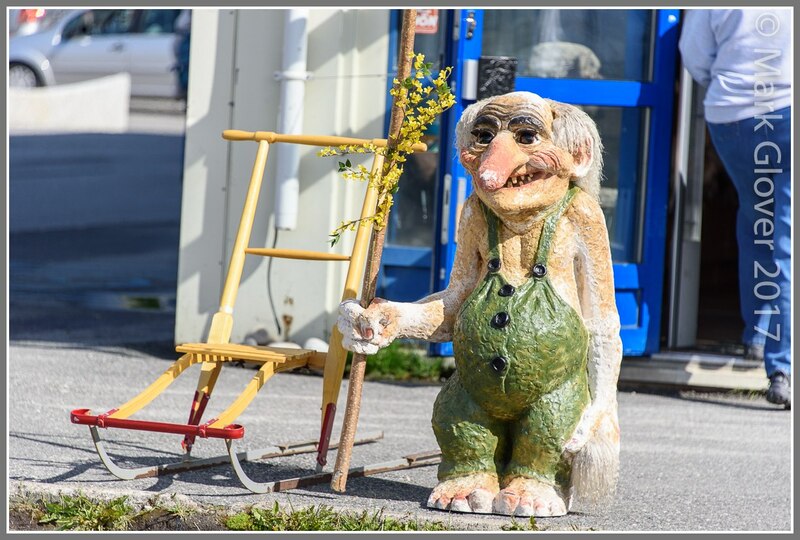 And another Troll outside Arctic Souvenir. 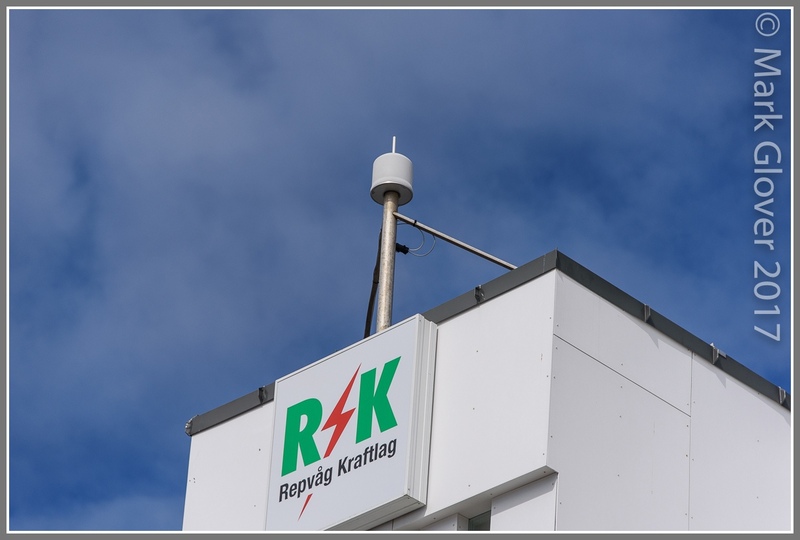 Around the corner is the Repvåg Kraftlag (local power generator) building with its weird appendage. Every 15 minutes this shudders into life, does a 360 spin, and then shuttles back to where it started. Like this one. 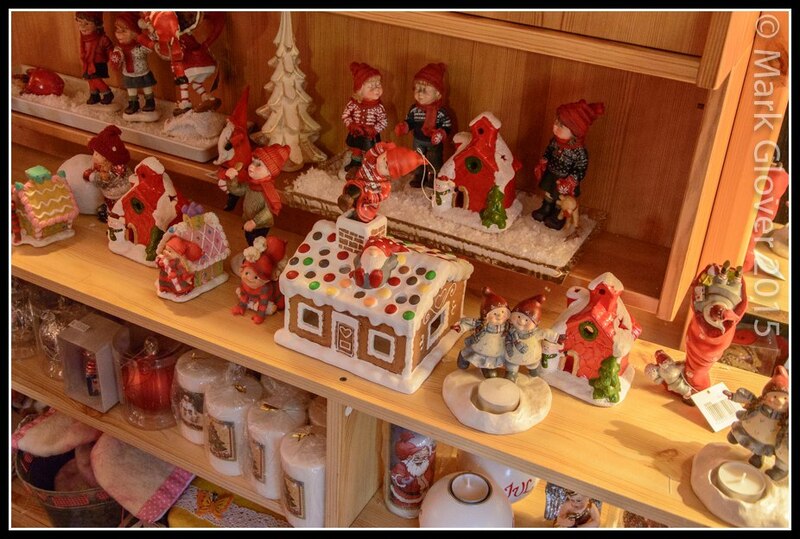 (Same troll as was with Bamse, just visible on his own, on the corner, by the Ice Bar). 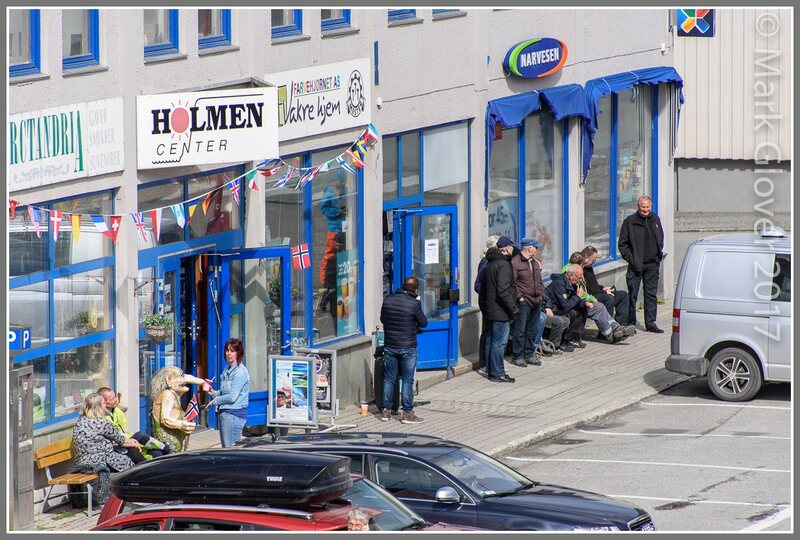 As is the case in many Hurtigruten towns, life seems to centre around the local Narvesen (Newsagent/Corner Shop and purveyor of 'softis med sjokolade på - ice cream cornet with chocolate on it. 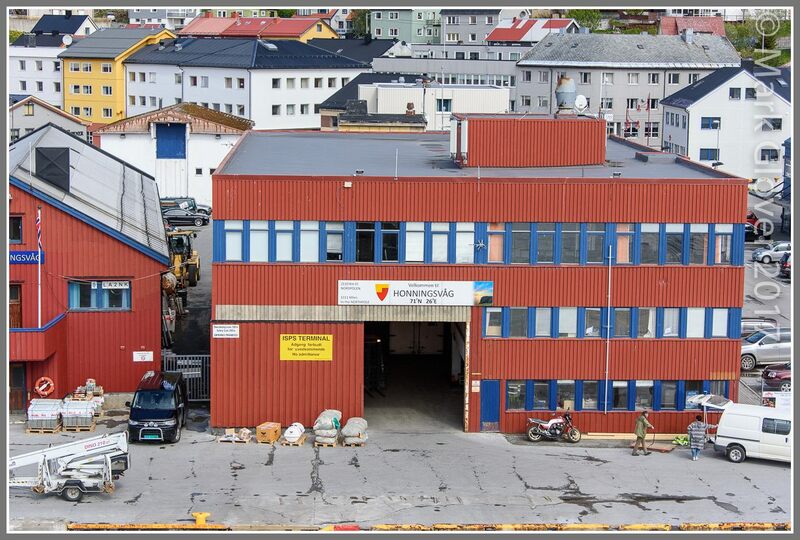 And the shipping agent's shed, next door, is a constant source of entertainment and excitement. 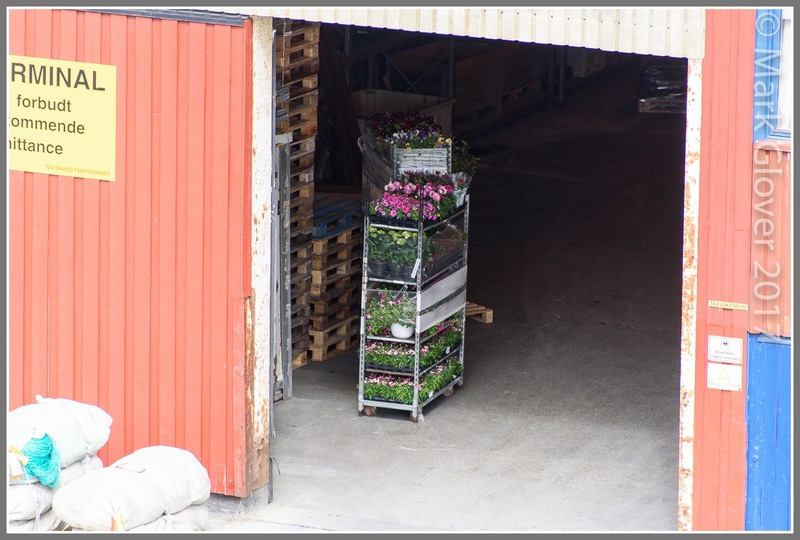 Such as the arrival of a shipment of summer bedding - being carefully kept inside the shed to prevent the 3C chilling breeze bringing them to a premature end. 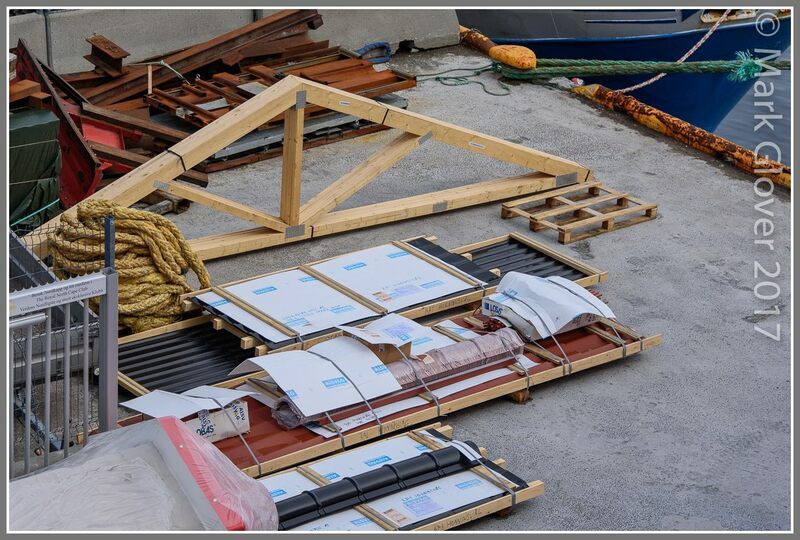 You could always build your own house with the various bits on the quay, waiting for collection and a new life. 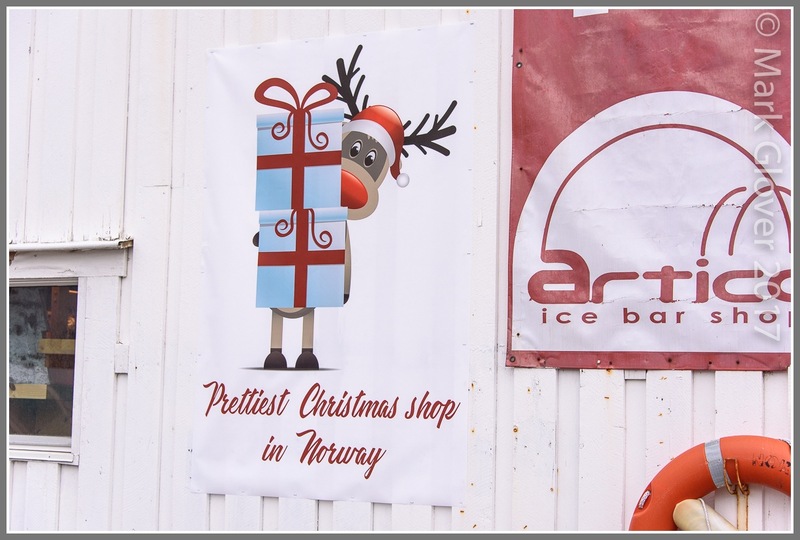 Plenty of local businesses to choose from - the Christmas shop attached to the Ice Bar - not quite the same as the wonderful Christmas House in Skarsvåg though. 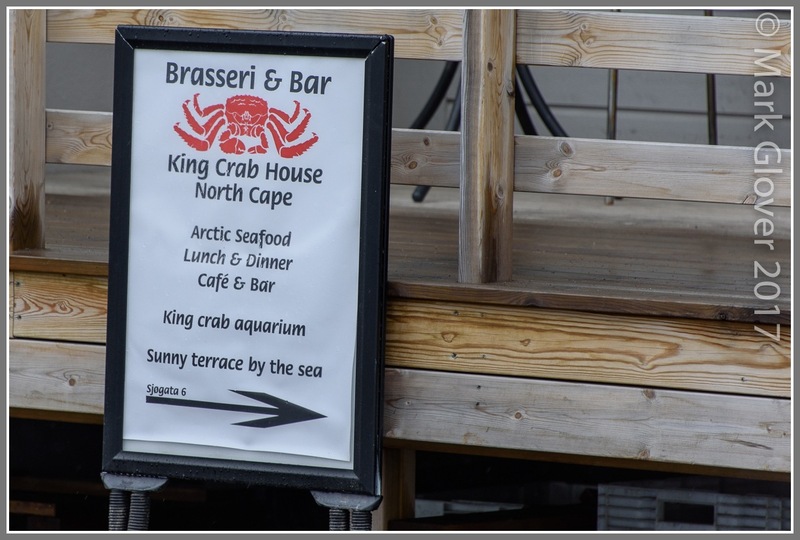 Or the Crab restaurant - 'sunny terrace' - mmmm, not always. 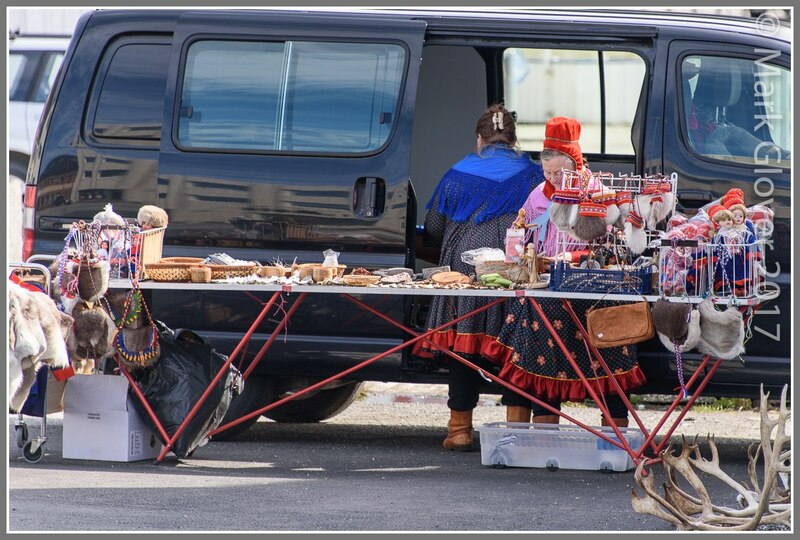 There are now two Sami shops in the village. The other one was not quite as wet as it might have been - a rather large and expensive rain cover had appeared. Don't think the little fella on the moped is delivering pizzas, but it was a good story to spread. Back to the good weather. 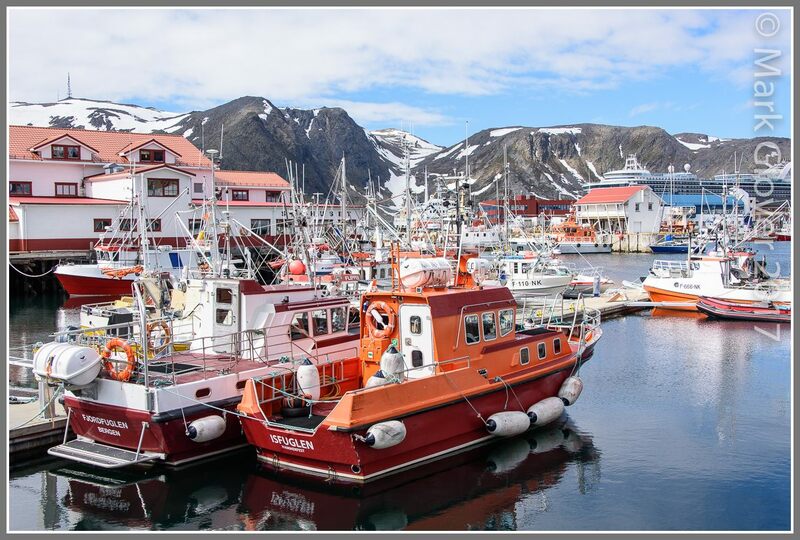 A walk around the harbour. And the rope handling ships enjoying the sun. Around to the sea wall to look back to town. 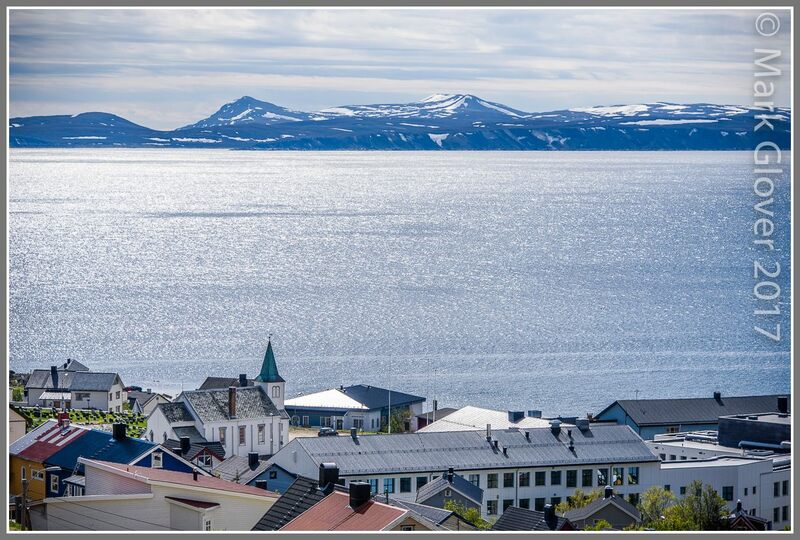 This is similar to the view at www.porthonningsvag.kystnor.no. Crown Princess looking slightly less overbearing from this angle. 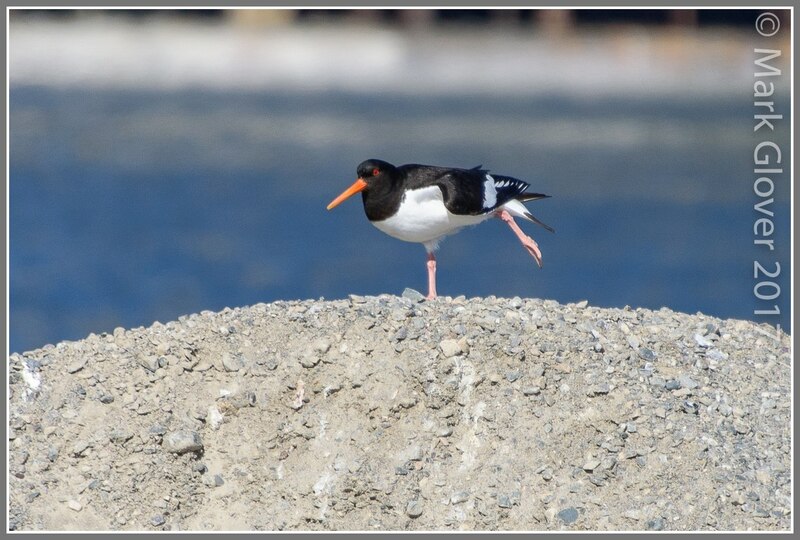 Olav the Oystercatcher was practicing his T'ai Chi. 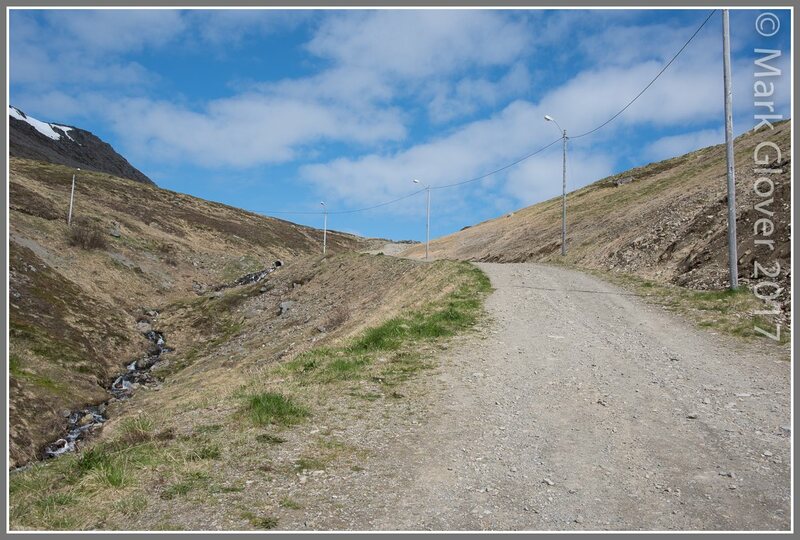 ... and up the hill to the view. Worth the extra cardiac strain when you get there - I love this view, and could very happily spend many, many hours up here. Looking back over the Sound to the mainland. On the way home now, a quick look at the beach (and some very, very nice new houses). 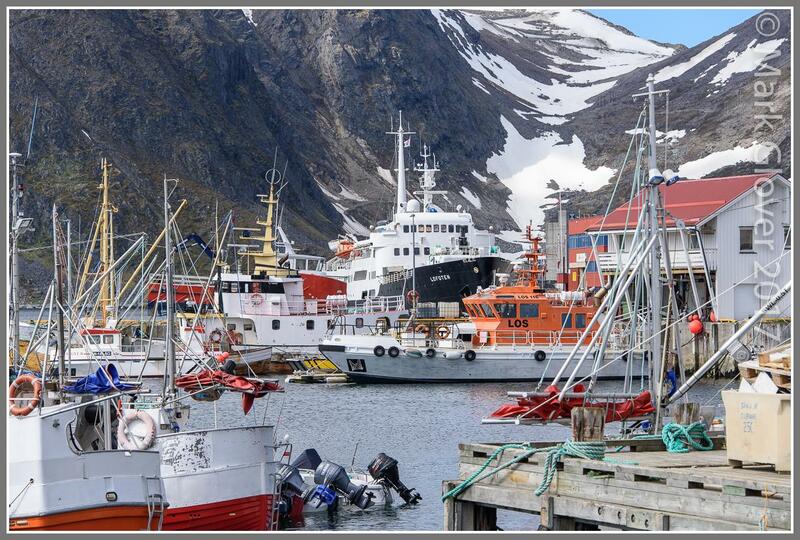 Past the Scandic Honningsvåg, getting slower, looking forward to dinner - more extremely fresh fish!! But wherever you go there's a ship of some sort. 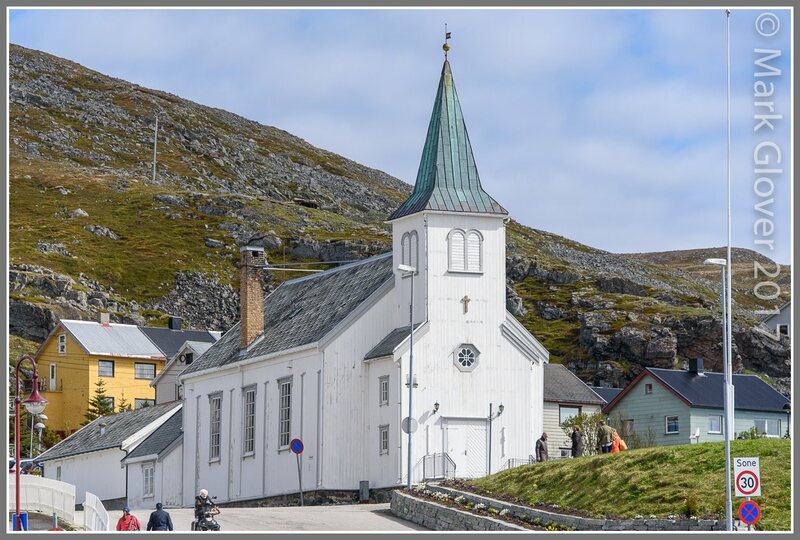 Loved that stroll around Honningsvåg and all the details, some familiar and others new since my last (and far too long ago) visit! Thanks for that Cecilia - I'm permanently confused!! Well, the Scottish doggy-details always do seem to mention Leith's part in the story! And I was in a hurry to post an explanatory link before Ralf and family started complaining that their "Seagull’s Tour of Leith" had seemingly omitted such an important statue! That wouldn't have been good!! 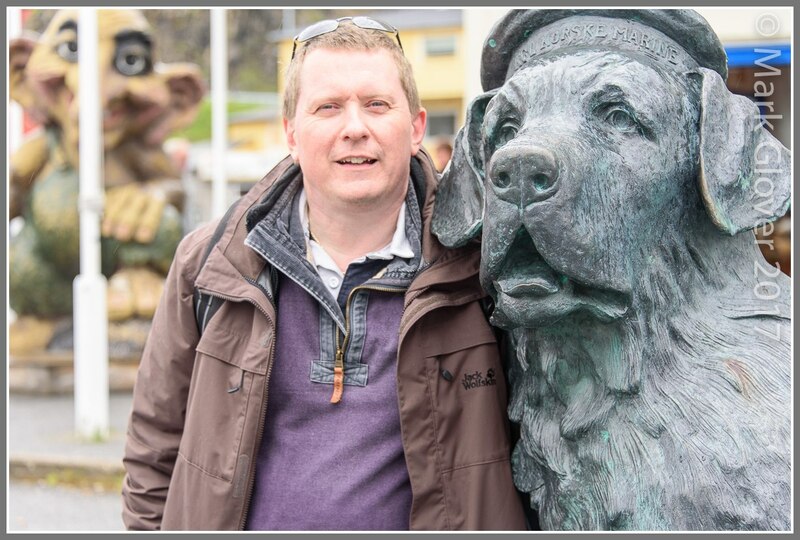 I often worry (don't know why - it's not the end of the world, but I do worry) that the tourists having their photo next to Bamse don't understand why he's there. This time though one of the Princess punters said to her husband something along the lines of 'Oh look, there's the sea dog with the connections to Scotland'. I nearly shook her hand. Very special doggy. 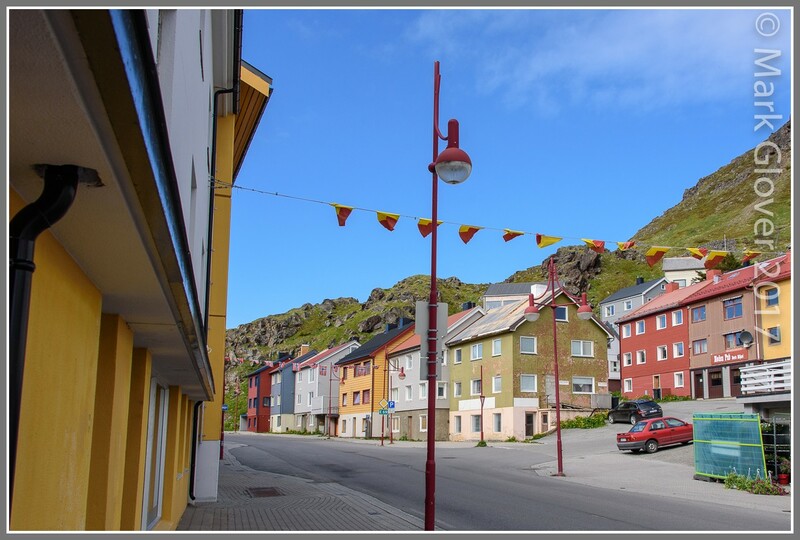 Nice documentation of that northern city: Honningsvåg is such a cute place. The beach - how many days have you been there taking a morning bath, I wonder? 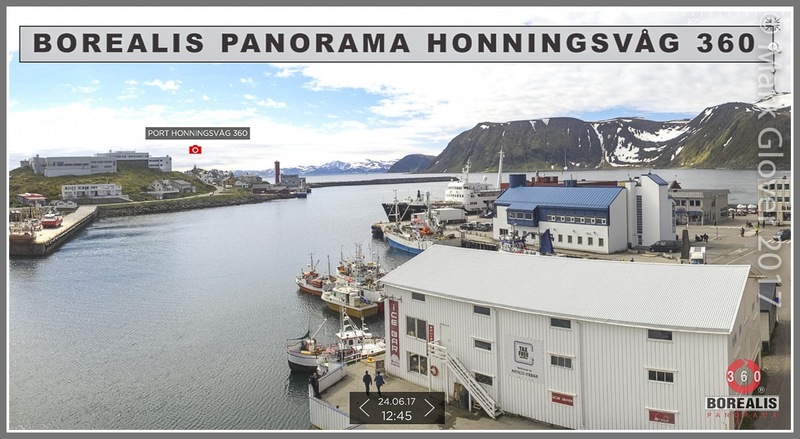 Watching the ware house brings back find memories from my earlier years - how exciting to see all the stuff on the way to someone, somewhere.... especially, on the old generation Hurtigruten ships, you could spend hours upon hours watching loading and unloading of all sorts of cargo. Truly fascinating stuff!